Dr. Marc Katz graduated from the Scholl College of Podiatric Medicine in 1989 and completed his residency in podiatric medicine and surgery at Arkansas Foot Clinics. He currently practices in Tampa, Florida. Dr. Katz has a general practice with specialty interest in diabetic limb salvage, cryosurgery and non-invasive/minimally-invasive procedures for many foot and ankle ailments. He is board certified by the American Board of Podiatric Surgery and a fellow of the American Society of Podiatric Surgeons and of the American Professional Wound Care Association. 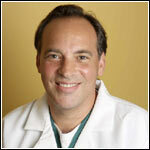 He is also a member of the American Podiatric Medical Association and Florida Podiatric Medical Association. Dr. Katz has published many articles on cutting edge techniques to allow patients to return to activities quicker with less invasive techniques.